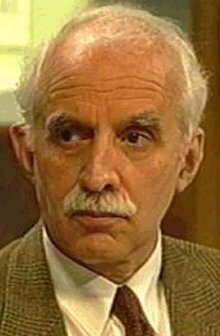 Dr Jan Jans (°1954) studied theology at the Katholieke Universiteit Leuven (Belgium) where from 1985 until 1990 he was assistant of medical ethics at the Centre of Biomedical Ethics and Law. After obtaining the degree of Doctor in Sacred Theology (STD/PhD) in 1990, he was from 1991 until 2005 assistant professor of moral theology at Tilburg Faculty of Theology (the Netherlands) and since 2006 associate professor of ethics at Tilburg School of Humanities. From 1993 until 2007, he lectured at ‘Bovendonk’ (Dutch seminary for late vocations) and from 1994 until 2003 he was professor at the ‘Theology for Ministry Summer Institute’ of the American College at Louvain. Since 2001/2002 he is visiting professor at St Augustine College of South Africa (Johannesburg) and lectured at other South African universities as well. His main areas of interest within fundamental moral theology are images of God, personalism and ethical methodology, including feminism and intercultural ethics. A focus of ongoing research aims at exploring the concept of ‘neighbour’ as an hermeneutical key with regard to a characteristic Christian moral identity. Professor Jan Jans' recent publications include: "What’s the fuss? The difficulties of religion(s) with sexuality", in: Trefoil (The Southern African Catholic Quartely), N° 271 (2007/1) 33-34; 57-58; "Just a Piece of Cloth? The European debate on ‘the Islamic headscarf’ as a case study and paradigm for an emergent intercultural ethics", in: The Journal of the Society of Christian Ethics, 28.1 (2008) 25-43; "
Until the end willed by God? Moral theology and the debate on 'euthanasia'," in: Studies in Christian Ethics, 24 (2011) 477-486; "Typisch und Eigenartig. Krankenhäuser auf der Suche nach ihrer christlich-katholische Identität", in: Konrad Hilpert (Hrsg. ), Theologische Ethik im Pluralismus, Fribourg i. Ue. : Academic Press Fribourg / Freiburg I. Br. : Herder, 2012, 285-290. Jan Jans is an active member of the European Association for Catholic Theology (2005-2007: editor-in-chief of the journal Bulletin ET), the Internationale Vereinigung für Moraltheologie und Sozialethik, the Societas Ethica (board member since 2011), the Association of Teachers of Moral Theology [UK] and the Society of Christian Ethics [USA] (board member 2007-2011), the Catholic Theological Association of America, and vice-president of INSeCT (2008-2011). Dr Martin Jäggle studied at Vienna and Innsbruck (DrTheol 1992). Meanwhile he had been active as a teacher/lecturer of Religious Education in Teachers' Training Colleges and at the Technical University of Vienna. In 2003 he became Professor of Religious Education and Catechetics at the Catholic University of Vienna and from 2008 Dean of its Theological Faculty. He has given guest lectures and conducted seminars in Augsburg, Bozen, Brixen, Budweis, Celje, Eichstätt, Esztergom, Freiburg, Luxemburg, Luzern, Munich, Posznan, Szeged, Thessaloniki and Venice. Among the books he wrote we find: Milde revisited. Vincenz Eduard Mildes pädagogisches Wirken aus der Sicht der modernen Erziehungswissenschaft (with I. M. Breinbauer und G. Grimm, Vienna); Das Gemeinsame entdecken – Das Unterscheidende anerkennen. Projekt eines konfessionell-kooperativen Religionsunterrichts. Einblicke – Hintergründe – Ansätze – Forschungsergebnisse (with H. Bastel, M. Göllner und H. Miklas, Vienna); Ich bin Jude, Moslem, Christ. Junge Menschen und ihre Religion, (with Th. Krobath, Innsbruck-Vienna 2002); Viele Kulturen - eine Schule. Religiöse Implikationen im Schulalltag (with M.Bolz und J.Schrumpf, Vienna 2000); Das Buch zur Taufe (Vienna/Innsbruck 2000); Vaterunser für Kinder, (with J.Dirnbeck und N.Bammer, Innsbruck 1993). Professor Jäggle takes part in the workshops of Human Rights in the European Context and Religious Education at Schools in Europe. He is a member of the Board of the European Journal of Mental Health. He was convener of the Erasmus Inter-cultural and Inter-religious Learning Programme, jointly developped by colleges in Germany, Greece, the Netherlands, Austria, the Czech Republic and Hungary. He is Vice-President of the Coordinating Committee for Cooperation between Christians and Jews. He belongs to the board of the Austrian Research Foundation for International Development(ÖFSE). In 2001 Professor Jäggle received the Medal of Honour of the Aristotle University of Thessaloniki. Dr Jaron Lewis is Professor Emerita at the Pontifical Institute of Medieval Studies in Toronto, Canada. Credentials to follow. Associate Professor Marie Rose Joyce BA (Hons), M Ed Psych, PhD, Visiting Senior Research Fellow in a Research Institute in Melbourne. Registered Psychologist in the State of Victoria, Australia, and a Fellow of the Australian Psychological Society. Member of the APS College of Clinical Psychologists and Chair of the APS Ethics Committee (2001 - 2004). Chair of the Ethical Guidelines Committee from 2004 to 2009. 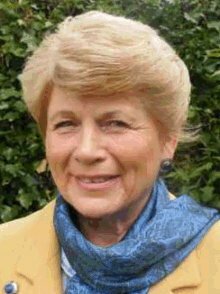 Following her co-authoring of a book with Michael Bernard in 1984 on Rational Emotive Behaviour Therapy (REBT) with children and adolescents, she has published a number of book chapters and journal articles on REBT, with a particular focus on young people and their parents. 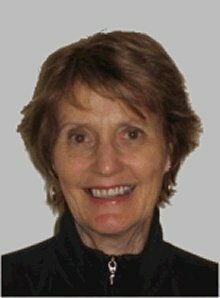 Her research interests include cognitive-behavioural interventions, adult development and interdisciplinary research studies. 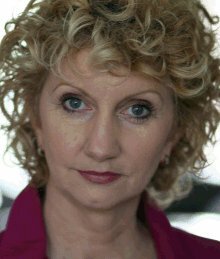 She is an Associate Fellow and Supervisor of the Albert Ellis Institute in New York and a Faculty member of the Australian Institute for Rational Emotive Behaviour Therapy. She also has a deep commitment to human rights and is involved in a project to deliver tertiary education to refugees on the Burma-Thai border. Among her recent publications are: (with C. Fersterer), EMU Education Mobile Unit: a preliminary program evaluation. Fitzroy, Vic: 2002; (with T. Pantchenko and M. Lawson), ‘Verbal and non-verbal disclosure of recalled negative experiences: Relation to wellbeing’, Psychology and Psychotherapy, Theory, Research and Practice 76 (3) (2003) 251-265; ‘A developmental, rational-emotive behavioral approach to working with parents’, in A. Ellis and M.E. Bernard (Eds. ), Rational emotive approaches to childhood disorders, New York 2006, pp.177-211; (with O. Gavita) ‘A review of the effectiveness of group cognitively enhanced behavioural based parent programs designed for reducing disruptive behaviour in children’, Journal of Cognitive and Behavioral Pyschotherapies, 8(2), (2008) 185-199; ‘Laughing and listening’ (pp. 95-96), ‘Spirituality: a psychologist reflects’ (pp. 114-116) and ‘Body-related professional experience’ (p. 184) in V. Noone, T. Blake, M. Doyle, & H. Praetz (Eds.) Golden Years: Grounds for hope, Golden Project: Melbourne 2008; (with M. Symons, M. (2009). ‘Psychology, religion and spirituality: Ethical issues to consider’, InPsych August 2009. Professor Erik Jurgens is Emeritus Professor of Government Law at the Free University of Amsterdam (1987 - 1999) and the National University of Limburg (1991-2000). Member and Assistant President of the Senate (Eerste Kamer) of the Parliament of the Netherlands (1995 - 2007); member of the Dutch House of Commons (Tweede Kamer; 1972-1975; 1990-1994); Chairmain of NOS (Dutch Radio & TV Umbrella; 1975 - 1985. Professor Jurgens has been a member and chairman of numerous national and international institutions. At present he is chairman of Union of Narional Libraries in the Netherlands (2004 - now). Among his publications we find: P.P.R. op aarde (1968); Omroep als publieke dienst (1985); Omroeprecht en auteursrecht (with N. van Lingen 1986); De stenen tafelen: een nieuwe moraal voor burgers en overheid? (editor, 1992); Tweede Kamer op orde (with J. A. van Schagen, 1993); De heren van Den Haag zijn onderweg (anthology of 100 poems, with F. Niessen, 1993); Een onparlementair stelsel (with W. Vermeend, 1993). He writes and has written many articles. In 1985 he was decorated as Officer of the Order of the Dutch Lion. Dr Manuela Kalsky is Professor at VU University in Amsterdam (Edward Schillebeeckx Chair for Theology and Society) and director of the Dominican Study Centre for Theology and Society (DSTS). She was a guest lecturer at the universities of Hannover, Hamburg , Fribourg and Vienna. She studied theology in Marburg (G) and Amsterdam. After graduating at the University of Amsterdam she took her PhD degree there on a research into Christology from the perspective of women in different cultures. Her research in recent years has focused primarily on religion in a pluralist society. In this field, the DSTS initiated the multimedia project Nieuwwij.nl (project WE), with the aim of strengthening social cohesion by the innate capacity in society to live together with people from different cultures and religions. Manuela Kalsky has published numerous articles on religion and society and is regularly involved in the public debate in the Netherlands on the role of religion in a multicultural society. She is also a board member of the European Project for Interreligious Learning. Her recent publications include: ‘Religious Diversity as a Challenge to Theology. The research projects of the Dutch Dominican Study Centre for Theology and Society’, in: M. Kalsky, P. Nissen (eds. ), A glance in the mirror. Dutch and Polish religious cultures (forthcoming by LIT Verlag); ‘Heil im alltäglichen Leben. 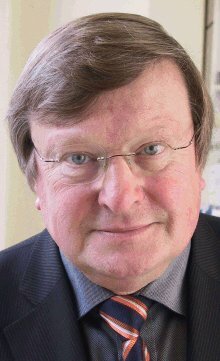 Weiterdenken mit Edward Schillebeeckx in einer multireligiösen und multikulturellen Gesellschaft’, in: T. Eggensperger, U. Engel, e.a. (eds. ), Edward Schillebeeckx: Impulse für Theologien - Impetus Towards Theologies, Ostfildern 2012, p. 211-229; 'Alles vloeit. De spiritualiteit in de Lage Landen', in: Tijdschrift voor Geestelijk Leven 68, 2012, p. 5-14; ‘Interreligious Dialogue and the Development of a Transreligious Identity. A Correspondence’, in: Journal of the European Society of Women in Theological Research 17, 2009, p. 41-58; 'Religiöse Flexibilität. Eine Antwort auf kulturelle und religiöse Vielfalt’, in: R. Bernhardt, P. Schmidt-Leukel, Multiple religiöse Identität. Aus verschiedenen religiösen Traditionen schöpfen, Zürich 2008, p. 219-242; 'Embracing diversity: Reflections on the transformation of Christian identity', in: Studies in Interreligious Dialogue 17, 2007, p. 221-231. Leo Karrer is Emeritus Professor of Pastoral Theology at Fribourg University, Switzerland (1982 to 2008). He studied in Vienna, Chicago, Munich (DrTheol) and Münster. He gained his PhD in 1967. From 1967-69 he was research assistant to Karl Rahner in Münster. His Books · Lay theologians in pastoral occupations; Grünewald Mainz, 1974; Hermann Boventer , Leo Karrer, Gerhard Gruber , Josef Bommer et al (eds). lay theologians in pastoral ministry - Positioning and Trends , Bensberg 1976; · Believe in short formulas for theol.u sprachtheoret.Problems and to religionspädag.Using shorthand d d faith; Grünewald Mainz, 1982; Departure of Christians: The end of the clerical church, Kösel Munich, 1989; · God's strange language: The cross with the suffering; Herder Freiburg, 1990; We really are the people of God! On the way to a fraternal church, Paul Fribourg, 1994; Two sermons for Palm Sunday Easter, Paul Fribourg, 1995; · The great breath of life: How can we pray today; Herder Freiburg, 1996; The hour of the laity: From the dignity of an unnamed object, Herder, Freiburg, 1999; Tremendous sacrifices: film talks with René Girard and Lars von Trier ; KIM Cologne, 2000; Dream Worlds: The cinematic gaze inward; Charles Martig eds, Stoke Marburg, 2003; Eros and religion: explorations in the realm of the senses; Charles Martig eds, Stoke Marburg, 2007; · Because it goes to the people: the wounds of the Church and its cure; Paul Fribourg, 2009. Professor Karrer was Chairman of the Conference of German pastoral theologians and pastoral theologians (1993-2001) and President of the European Society for Catholic Theology (2001-2004). Dr Othmar Keel studied Hebrew, the history of religion, theology and exegesis in Zürich, Rome and Fribourg (DrTheol 1971). He further studied biblical studies, ancient near eastern art and egyptology in Jerusalem and Chicago. He lectured at Fribourg University from 1967, became a full Professor of Old Testament Exegesis (1977-2002, when he retired). He has been a guest lecturer and visiting professor at some 100 universities in Europe, Africa, Middle East, USA. In 1970 he was a founding member of the newly established Biblical Institute of the University of Fribourg, now called the "Department of Biblical Studies". 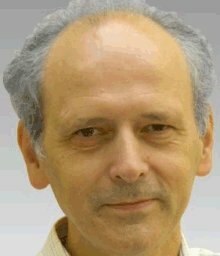 Since 1973, founder and editor of the series Orbis Biblicus et Orientalis (to March 2010 248 volumes) and since 1980 the editor of Orbis Biblicus et Orientalis, Series Archaeologica (until March 2010 38 volumes). Since 2004 he is president of the Foundation BIBLE + ORIENT. Among his publications we find: Feinde und Gottesleugner. Studien zum Image der Widersacher in den Individualpsalmen (Stuttgart 1969); Zurück von den Sternen. Kritik und Situierung der These Erich von Dänikens (Freiburg/Schweiz 1970); Synoptische Texte aus der Genesis (Fribourg 1971,1975); Wirkmächtige Siegeszeichen im Alten Testament (Göttingen 1974, 5); Die Weisheit spielt vor Gott (Göttingen 1974); Vögel als Boten (Göttingen 1977); Jahwe-Visionen und Siegelkunst (Stuttgart 1977); Jahwes Entgegnung an Ijob (Göttingen 1978); Monotheismus im Alten Israel und in seiner Umwelt (Freiburg/Schweiz 1980); Das Böcklein in der Milch seiner Mutter und Verwandtes (Göttingen 1980); Orte und Landschaften der Bibel. Ein Handbuch und Studienreiseführer zum Heiligen Land, together with Max Küchler (Göttingen 1982); Die Bibel mischt sich ein. Predigten und „Worte zum Sonntag“ (Zürich 1984); Orte und Landschaften der Bibel, together with Max Küchler und Christoph Uehlinger (Göttingen 1984); Deine Blicke sind Tauben. Zur Metaphorik des Hohen Liedes (Stuttgart 1984); Studien zu den Stempelsiegeln aus Palästina/Israel I, together with Silvia Schroer (Göttingen 1985,67); Studien zu den Stempelsiegeln aus Palästina/Israel II, together with Hildi Keel-Leu und Silvia Schroer (Göttingen 1989, 88); Studien zu den Stempelsiegeln aus Palästina/Israel III. Die Frühe Eisenzeit, together with Menakhem Shuval und Christoph Uehlinger (Göttingen 1990/1998); Schöne, schwierige Welt – Leben mit Klagen und Loben (Berlin/Neukirchen/Vluyn 1991); Das Hohelied (Zürich 1992); Studien zu den Stempelsiegeln aus Palästina/Israel IV (Göttingen 1994); Corpus der Stempelsiegel-Amulette aus Palästina/Israel. Von den Anfängen bis zur Perserzeit (Göttingen 1995); Altorientalische Miniaturkunst. 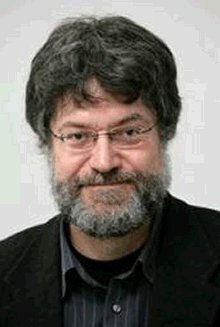 Die ältesten visuellen Massenkommunikationsmittel, together with Christoph Uehlinger (Freiburg/Schweiz 1996); Die Welt der altorientalischen Bildsymbolik und das Alte Testament (Göttingen 1996); Das Recht der Bilder gesehen zu werden (Göttingen 1997); Corpus der Stempelsiegel-Amulette aus Palästina/Israel. Von den Anfängen bis zur Perserzeit (Göttingen 1997); Goddesses and Trees, New Moon and Yahweh. Ancient Near Eastern Art and the Hebrew Bible (Sheffield, 1998); Mond, Stier und Kult am Stadttor. Die Stele von Betsaida (et-Tell), with Monika Bernett (Göttingen 1998); Hellenismus und Judentum, together with Urs Staub (Göttingen 2000); Göttinnen, Götter und Gottessymbole, together with Christoph Uehlinger (Freiburg i. Br. 2001); Im Schatten Deiner Flügel. Tiere in der Bibel und im alten Orient, together with Thomas Staubli (Freiburg/Schweiz 2001); Kanaan–Israel–Christentum. Plädoyer für eine vertikale Ökumene (Münster i. W. 2002. ); Vertikale Ökumene. Erinnerungsarbeit im Dienst des interreligiösen Dialogs (Freiburg/Schweiz 2005); Die Ikonographie Palästinas/Israels und der Alte Orient, together with Silvia Schroer (Freiburg/Schweiz 2005); Eva – Mutter alles Lebendigen, together with Silvia Schroer (Freiburg/Schweiz 2006); Corpus der Siegel-Amulette aus Jordanien: Vom Neolithikum bis zur Perserzeit, together with Jürg Eggler (Freiburg/Schweiz 2006); Die Geschichte Jerusalems und die Entstehung des Monotheismus (Göttingen 2007); Gott weiblich: eine verborgene Seite des biblischen Gottes (Gütersloh 2008); Schöpfung: biblische Theologien im Kontext altorientalischer Religionen, together with Silvia Schroer (Göttingen 2008); Selbstverherrlichung: die Gestalt Abrahams in Judentum, Christentum und Islam (Basel 2009);and Jerusalem und der eine Gott: eine Religionsgeschichte (Göttingen 2011). 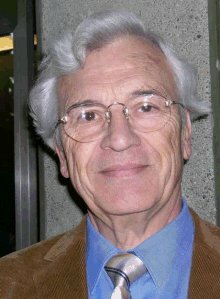 Professor Keel is doctor honoris causa of the University of Lund in Sweden (1996); of the faculty of Protestant Theology at the University of Geneva (2000) and of the Catholic Faculty of the University of Bochum in Germany (2007). In 2005 he received the Marcel Benoist Prize, the most coveted prize awarded to scholars in Switserland. Dr Ursula King, MA (Delhi), PhD (London), DD h.c. (Oslo, Edinburgh, Dayton), is Professor Emerita of Theology and Religious Studies at the University of Bristol; Senior Research Fellow, Institute for Advanced Studies, University of Bristol; Professorial Research Associate, Centre for Gender and Religions Research, School of Oriental and African Studies, University of London. Ursula King is a world expert in feminism and gender studies. Her research and professorial positions in universities of Asia, Europe and North America have given her a truly international access to the field. Many of her books are classics and she is a frequent speaker at top academic conventions. Among her numerous publications we find: The Search for Spirituality, Our Global Quest for a Spiritual Life, Women and Spirituality: Voices of Protest and Promise, Spirit of Fire: The Life and Vision of Pierre Teilhard de Chardin, Christ in All Things: Exploring Spirituality with Teilhard de Chardin, Turning Points in Religious Studies (ed. ), Feminist Theology from the Third World: A Reader (ed.) and Religion and Gender (ed.). Her latest book is: Teilhard de Chardin and Eastern Religions. Spirituality and Mysticism in an Evolutionary World (Paulist Press 2011). 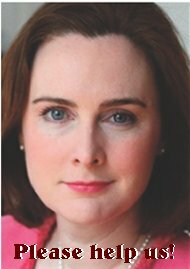 Ursula King is a member of British Association for the Study of Religions (BASR), Catholic Theological Association of Great Britain, European Society of Women in Theological Research, Royal Society for the Encouragement of Arts, Manufactures and Commerce and Society for the Study of Theology. Dr Walter Kirchschläger was Associate Professor of exegesis of the New Testament at the Theological Faculty of Lucerne 1982 until retirement in 2012. He studied theology and philosophy at the Pontifical Gregorian University and at the University of Vienna (PhD 1972). He served as secretary of the Vienna archbishop Cardinal Franz Koenig (1970-1973) . In 1981 he received the Cardinal Innitzer award. Professor Kirchschläger specialised in distance learning for theological education. From 1986 to 1990 he was Prefect of Studies of the Theological Faculty of Lucerne, from 1990 to 1993 its Rector. Under his tenure the faculty was restructured into two faculties (theology, humanities). From 1997 to 2000 he served as Rector of the University of Lucerne, from 2000 to 2001 he was its Founding Director. He published courses for distance-education: The Gospels presented (Klosterneuburg, 1980) ; Basic Course Bible - Old Testament & Basic Course Bible - New Testament (Catholic Biblical Association, Stuttgart 2002; Brief Introduction to the New Testament (Stuttgart 2012). Professor Kirchschläger's father was the Austrian ambassador, minister for foreign affairs and national president, Rudolf Kirchschläger. Dr James Kottoor studied at Marquette University, Milwaukee (BA Journalism) and at the Pontifical Urban University in Rome (PhD Theology and DipSoc Sociology). He also studied French in Paris. In India he served for many years as the Editor and Publisher of the New Leader (Madras), the largest Catholic weekly in the country. 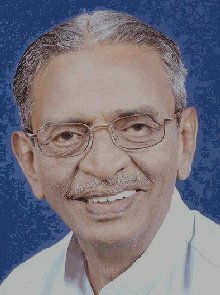 He also was Editorial Secretary at the Ecumenical Christian Centre, Bangalore, and from 1987 he was Associate Editor of Indian Currents, Delhi, to which he still regularly contributes. Indian Currents is one of the leading English Catholic weekly magazines with a committed readership in India and abroad. In 1971 James Kottoor was a key speaker at the 9th World Conference of the Catholic Press in Luxemburg and at a meeting of Developing Countries, in Aachen, Germany. In 1975 he was invited to speak on "The Printed Word in Asia" at the Asian Press Conference in Hong Kong and witnessed from there the arrest of Jeya Prekash Narayan and the declaration of Emergency in India. In 2001 he was invited to represent India at the First World Conference on Womens' Ordination in Dublin. James Kottoor is known throughout Asia as an outspoken journalist, sharp-witted critic and prolific writer on socio-religious issues. In his hundreds upon hundreds of articles, in Malayalam and English, he proves to be - to quote his own words - 'an advocate of free speech and a firm believer in the supremacy of God's grace in all human affairs'. Among his well-known English publications are Woman, why are you weeping? A discussion on womens' ordination in the Roman Catholic Church (ed. 2002) and Life's journey from womb to tomb! A discussion on discoveries during our pilgrim journey in search of God's light (2008). 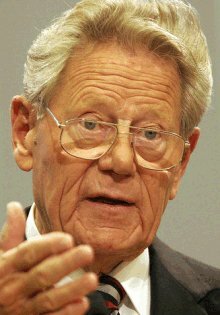 Professor Hans Küng studied philosophy and theology at the Gregorian University in Rome. He continued his education in various European cities, including the Sorbonne. In 1960, he was appointed professor of theology at Eberhard Karls University, Tübingen, Germany. In 1962 he was appointed peritus by Pope John XXIII, serving as an expert theological advisor to members of the Second Vatican Council until its conclusion in 1965. He was ordered by Rome to leave the Catholic faculty, but remained at the University of Tübingen as a professor of ecumenical theology, serving as an emeritus professor since 1996. Hans Küng has written numerous books which have seen many editions. To mention just a few: Justification: The Doctrine of Karl Barth and a Catholic Reflection; The Council and Reunion; Structures of the Church; The Living Church: Reflections on the Second Vatican Council; The Church; Infallible? An Inquiry; Why Priests? ; What must remain in the Church; On Being a Christian; Signposts for the Future: Contemporary Issues facing the Church; Freud and the Problem of God: Enlarged Edition; Does God Exist? An Answer For Today; Christianity and the world religions; Christianity and Chinese Religions (with Julia Ching, 1988); Art and the question of Meaning; The Incarnation of God: An Introduction to Hegels Theological Thought as Prolegomena to a Future Christology; Theology for the Third Millennium: An Ecumenical View; Judaism: Between Yesterday and Tomorrow; Great Christian Thinkers; Christianity : Its Essence and History; A Global Ethic for Global Politics and Economics; Dying with Dignity (co-written with Walter Jens); The Catholic Church; My Struggle for Freedom: Memoirs (2003); Why I Am Still a Christian (2006); The Beginning of All Things - Science and Religion (2007); Islam: Past, Present and Future (2007); Disputed Truth: Memoirs II (2008). In the early 1990s, Küng initiated a project called Weltethos (Global Ethic), which is an attempt at describing what the worlds religions have in common. His vision of a global ethic was embodied in the document for which he wrote the initial draft, Towards a Global Ethic: An Initial Declaration. This Declaration was signed at the 1993 Parliament of the Worlds Religions by religious and spiritual leaders from around the world. Dr Gerhard Kruip is Professor of Christian Anthropology and Social Ethics at the University of Mainz in Germany. 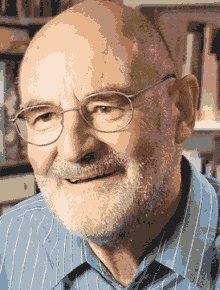 He studied mathematics and Catholic theology in Würzburg and Paris (DrTheol 1995). 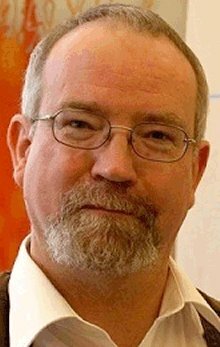 He held positions as scientific researcher, lecturer and/or visiting professor at many universities: Würzburg, Salamanca (Spain), Jerusalem (Israel), Fulda (1994-1997), Cologne (1996-2000), Berlin (2000 und 2001) and Hannover 2001-2006). 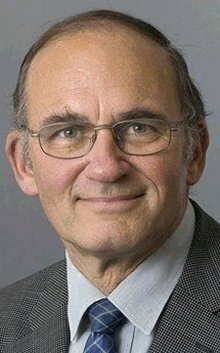 Professor Kruip has written hundreds of articles. Among his books we find: Kirche und Gesellschaft im Prozeß ethisch historischer Selbstverständigung (Münster 1996); Entwicklung oder Befreiung? Elemente einer Ethik sozialer Strukturen am Beispiel ausgewählter Stellungnahmen aus der katholischen Kirche Mexikos (Saarbrücken 1988); Kirche 2011 Ein notwendiger Aufbruch (co-editor, Freiburg im Breisgau 2011); Kooperative Bildungsverantwortung. Sozialethische und pädagogische Perspektiven auf "Educational Governance" (co-editor, Bielefeld 2011); Ethisches Lernen in der allgemeinen Erwachsenenbildung (co-editor, Bielefeld 2010); Bildungsgerechtigkeit - Interdisziplinäre Perspektiven (co-editor, Bielefeld 2009); Bildung, Politik und Menschenrecht. Ein ethischer Diskurs (co-editor, Bielefeld 2009); Intercambio. Jahrbuch des Stipendienwerks Lateinamerika-Deutschland (co-editor, Münster 2008); Bildungswege als Hindernisläufe. Zum Menschenrecht auf Bildung in Deutschland (co-editor, Bielefeld 2008); Feindliche Übernahmen? Zur Dynamik gesellschaftlicher Grenzüberschreitungen (co-editor, Münster 2007); Das Menschenrecht auf Bildung und seine Umsetzung in Deutschland (co-editor, Bielefeld 2007); Treffpunkt Ethik: Internetbasierte Lernumgebungen für ethische Diskurse (co-editor, Bielefeld 2007); Church and Civil Society: The Role of Christian Churches in the Emerging Countries of Argentina, Mexico, Nigeria and South Africa (co-editor, Berlin 2007); Schatten der Differenz. Das Paradigma der Anerkennung und die Realität gesellschaftlicher Konflikte (co-editor, Münster 2006); and many other books. Professor Kruip is consultant to the Berlin Institut for Christian Ethics and Politics (ICEP); consultant to the German Bishops' Conference's Commission for Contacts with Latin-America and the working group on World Commerce and Social Ethics; consultant to the watchdog on Fundamental Political Questions for the ZdK (Radio & TV); delegate to the German Caritas; Editor-in-Chief of ET-Studies, magazine of the European Society for Catholic Theology; scientific adviser to correspondence and media courses on theology. Karl-Josef Kuschel is Professor of Theology of Culture and Interreligious Dialogue at the University of Tübingen. He studied German Literalture and Theology at the Universities of Bochum and Tübingen (Dr Theol 1977). From 1996 to 2005 he was a member of the Management Committee of the Intern. Theological Journal Concilium; since 1990 member of the Advisory Board of Theology and Literature (London), the Faith Meets Faith Series (New York) and a member of the jury's award of Elisabeth Langgässer literary prize. From 1995 to 2009 Vice-President of the Foundation Global Ethic (Tübingen). 2002-2008 Co-founder and Member of the Graduate School Global Challenges - Transnational and Transcultural Approaches at the University of Tübingen . Since 2003 member of the board of the German-East Asian Science Forum (DOAW) of the University of Tübingen. Professor Kuschel was awarded an Honorary Doctorate by the University of Lund, Sweden (1997);the Herbert Haag Prize (1998); the Integration Award by the Foundation Apfelbaum at Cologne for contributing to intercultural and interreligious dialogue (2011).